Are you looking for a way to travel from Barcelona to Valencia? Are you on a trip to Barcelona, but looking for a way to do a day-trip to Valencia? Which is the best way of traveling between the cities? It is extremely funny to look at the map portraying the ride between Barcelona and Valencia. If you just look at the map, it looks so close, and it might just be considered a nice walk. But, the truth is that the distance between Barcelona and Valencia is more than 350 km. The ride from Barcelona to Valencia looks short, but it is more than 350 km. If you look at the little image above, you probably understand what I mean by saying that it looks so easy to travel from Barcelona to Valencia. And easy it is, but it will require some time. But, how should you travel from Barcelona to Valencia? Which is the preferred method of traveling if you want to go from one city to the other? In 2019, the Spanish football team will play their Euro 2020 qualification matches at the Marbella Stadium in Valencia. If you want to watch these, you can easily follow these instructions to discover how you can travel from Barcelona to Valencia in order to watch these matches at the stadium of the football team Valencia. 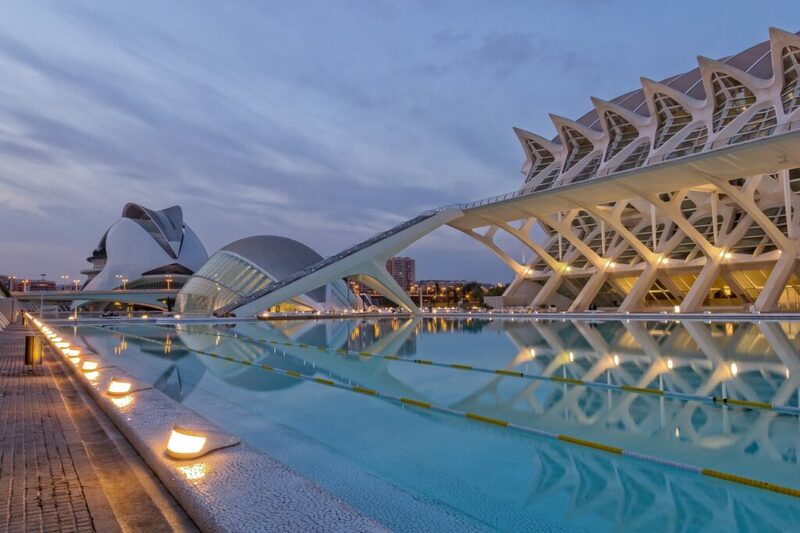 Notice that there is a 3 km distance from the train station in Valencia to the stadium, but that is easy to cover on foot, or by using the well working public transportation in Valencia. If you want to find out more about the Euro 2020 qualification matches and when they will be played in Valencia, check the following Euro 2020 qualification streaming guide. The easiest way of traveling from Barcelona to Valencia if you do not have a car, is by train. The trains leave from Barcelona Sants (the main station in Barcelona several times a day), and the travel time is around 3 hours. That might feel like a lot, but that is what you have to be prepared for if you want to travel with train from Barcelona to Valencia. A train ticket will cost you around 25 Euro, but if you book a ticket just before departure, it might get more expensive. Try to order the ticket as soon as possible to get your ticket as cheap as possible. You can find train schedules and book tickets at renfe.es. This might seem like a faster option, but if you take into consideration all the extras that come with a flight booking, you might not really save time, nor money. The flight time from Barcelona to Valencia is around 50 minutes, but if you take into consideration the ride to the airport in Barcelona, arrival minimum 1 hour before departure (rather 2 hours), and then waiting for the luggage in Valencia and then the actual travel from the airport in Valencia to the city center, you will most likely spend more time and money using this option than going by train. If you still want to travel by plane, visit the airline Vueling for more information. The most comfortable might be to travel to Valencia with your own car, or by renting a car. If you travel 3-4 persons, it might also get cheaper, and it is easier as you can go exactly where you want to, without having to use public transportation, wait for trains to depart, or be dependent on other ways of transportation. It is easy to do the ride and you should plan to use around 3,5 hours to cover the distance of 350 km between Barcelona and Valencia. What to discover during a trip to Valencia? Maybe you are visiting Valencia to watch a football match in which Valencia will play, or maybe to see the Spanish national team play one of their Euro 2020 qualifying matches. Or maybe you want to visit Valencia to discover the city and see the fantastic sights and attractions that the city has to offer? But, which are the most important sights in Valencia? Here are some of the sites and places you definitely should visit during a trip to Valencia. The Cathedral (a magnificent cathedral in Valencia that some people claim give house to the holy grail). These are just some out of many beautiful attractions waiting for you as you decide to give Valencia a visit! Which is the best option for traveling between Barcelona and Valencia? The decision is entirely yours, but I would personally prefer the train ride as it is quiet, comfortable, you can read a book and enjoy your time to the full, without running after luggage, watching out for traffic (if you drive a car), and all those extras that come with flying or driving a car. Have you traveled between Barcelona and Valencia yourself? Which kind of transport did you use? Were you satisfied? Would you recommend it to others? I would love to hear your thoughts and comments on the matter!